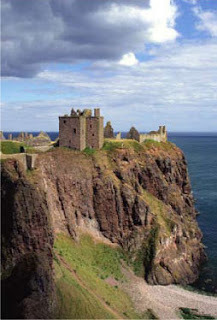 Spring Break is going to be in SCOTLAND!!! SQUEEEE!!! I'm stamping Valentine's tomorrow--I'll post some pictures of that fun stuff...I promise! Most awesomest blog header EVAH!!!! Thank you thank you thank you to my awesome friend @understandblue for doing such an AMAZING JOB!!! Lydia also designed my header on my "old" blog http://www.fanstampulous.blogspot.com/ and now that you've seen both you know I LOVE LOVE LOVE Hibiscus flowers! BWAHAHA! Hubby and I tried designing an avatar for my gaming persona years ago and just couldn't decide on anything great...without it being too cheesy. When I told Lydia I was going to simplify my "branding" and stick with Darth Sunshine even in my stamping/blogging world she said "I've already got an idea!" which I didn't think about until today. I messaged her and asked if she was going to have time to think about it and she replied with "Didn't you check your email? We must be on the same wavelength" and sure enough...waiting for me in my inbox was this GEM of a design. I giggle every time I see it. So if you came from my OTHER blog www.fanstampulous.blogspot.com you know I'm trying to streamline my "branding". Most artists I know use their name as their brand--well I started a few years ago with Darth Sunshine--the nickname my brother gave me that has ultimately stuck because I'm such the Star Wars fan and I LAUGH AT EVERYTHING. (I'll explain the history in a moment). Anyway--in looking at the big picture of "branding" myself--Darth Sunshine fits me better than Fanstampulous. Fanastampblahblah is a great "name"--but labels me only as a stamper, methinks. My artistic realm extends beyond the stamping borders--so I didn't like the idea of being put in a box. Actually...I put myself in that box. HAHA! So how did I get this name? My brother has the BEST sense of humor EVAH. He makes me laugh continuously--I'm not kidding. 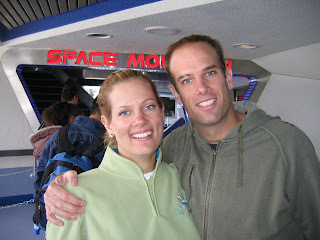 Here is me and my brother, Skip, at our favorite roller coaster ride EVAH--Space Mountain at Disneyland in California! We are both Star Wars fans. HUGE fans. Not kidding you there. A few years ago he was telling me that anyone that ticked him off he was calling them Sith Lords (for those of you in the dark...a Sith Lord is Darth Vader, or Darth Maul, Darth Sidious, Darth Grievous, etc.) Later that day I was teasing him about something (neither of us remember) and he looked at me and said "That's it...you're a Sith Lord!" and I retorted with "WhatEVAH, I'm the Epitome of Love and Kindness!!!" and his reponse was "That makes you Darth SUNSHINE!". 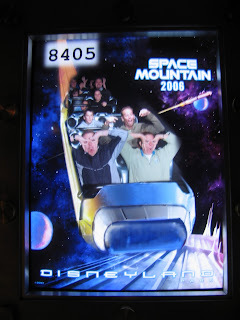 OMG I laughed SO HARD...we were both gasping for air at the time. So stinking funny. The best nickname EVAH. I've got some stamping classes coming up--I'll be posting again soon! SQUEEEEE!!! New Products!!!! And Leadership Conference!!! SQUEEE! 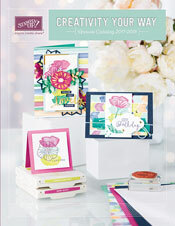 The Occasions Mini Catalog lauches tomorrow January 5th! AND SALE-A-BRATION!!! If you're new to the Stampin' Up world--Sale-A-Bration (SAB) is an annual mini-catalog where with every $50 you spend in product you choose one free item from the SAB catalog! SO FUN! This year SAB has not just stamps, but paper and even PUNCHES! Just scroll through the catalogs....giddiness abounds! I looove new toys to get my fingers inky with! The new clear block stamps are AWESOME...and storage in the DVD cases is just brilliant! LOVE IT! 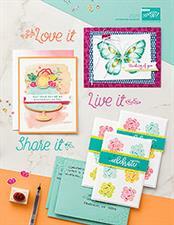 Wednesday I fly out to Phoenix, AZ for Stampin' Up's Leadership Conference! Soooo excited! We'll have classes and info on new products and possibly sneak-peeks into what's coming up later this year...SO EXCITED!!! And even more exciting than that is girlfriend time! I'll get to meet up again with my friend Lydia--who only lives in not-so-far-away-Austin--but who I get to communicate with often via Twitter. I also get to finally meet one of my Twitter friends in real life (IRL)-- @Moeneeke--Monique, from California! OH MY GOSH. 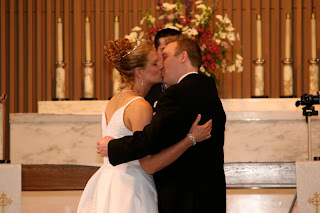 I just realized I posted TWO BLOG POSTS IN TWO DAYS!!!! Let me go take my temperature. 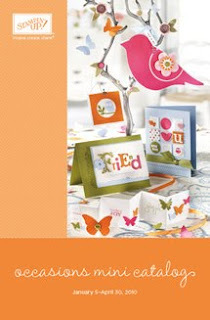 Peruse the catalogs--and if there's anything you want, need or just MUST HAVE please go to my website and SHOP AWAY!!! :D You can order online through my website and have your order shipped directly to your house! Fantastic! First of all--I promise to start my Christmas cards BEFORE THANKSGIVING next year. Wait. THIS year! It's twentyten! So I had to stamp HAPPY NEW YEAR inside my cards this year. Oy! I'll be posting the pic of the card this week...don't want to spoil it for my friends who haven't received theirs yet! HAHA. We've started this tradition to include a family photo...and a letter...with our Christmas Cards. This year I scrapped the letter--it's so hard to compile the lives of 5 people onto one page. More than one page in a Christmas Card is a little much. Really. Who wants to read a novel with a card? Ahhh I digress...but here was our photo. We decided to do something different and this version won because my hubby liked the expression on my face with Chibi licking my chin. So cute! That's me, with Chibi our adorable Bichon Frise, my hubby Dean, Delaney (11 yrs), Kayci (10 yrs) and Madison (15 yrs). We had a lot of fun trying to take this photo (my father in law is holding the camera). So I don't really like to do resolutions every New Year, because I basically set myself up for failure. Seriously. I've NEVER EVAH kept my resolutions. However, this year I'll be 40 and I promised myself years ago that I would be in the best shape of my life EVAH by 40...so I'm getting serious about that. Now. Plus my favorite Triathlon is in June and I plan to be so ready for it!! Blog at least once a week. I can do that. I enjoy blogging and will most likely have new stampin' stuff to post each week...so I plan to share more! Participate in more challenges--I love them. I really loved KWernerDesign's challenge, so I hope she picks it back up. But I've also discovered many more that I want to participate in! Both of the above mean I will set aside time to stamp at least once a week. Life gets away from me usually and I have this fabulous crafty space to work in...I want to utilize it more. So I will! I've also decided I'm going back to my Franklin Covey planner. My iphone calender is great for setting alarms for stuff--but I'm a tactile/hands-on person and need a central location to write my TO-DO and plans. Wow. All this and I don't have a card to post! Stay tuned! I'll be back!